Today is World Book Day and I figured it was the prefect day to start this blog on books and writing. This blog will be about my readings, my writing, the publishing process and sometimes movies and music. For now I am just going to ask you: what are you reading on World Book Day? 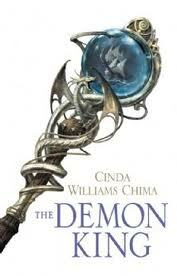 I am currently immersed in a Fantasy series called “The Seven Realms” by Cinda Williams Chima. The first book is “The Demon King” and I am nearly at the end of it, actually hoping to finish it tonight. This entry was posted in Book of the week and tagged Cinda Williams Chima, EM Castellan, fantasy, The Demon King, The Seven Realms, World Book Day, YA Books, Young Adult literature. I’ve read all the books in this series so far and really enjoyed them.